La Esquina in Sayulita is Sayulita's newest oceanfront rental! 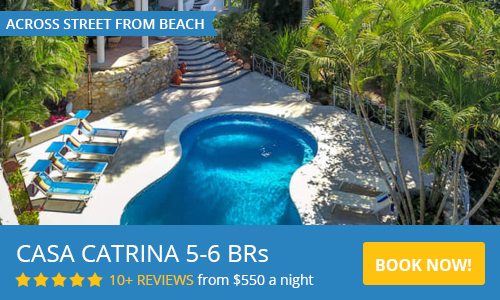 Enjoy a superb Sayulita vacation in these brand new beachfront apartments located in Sayulita Mexico. 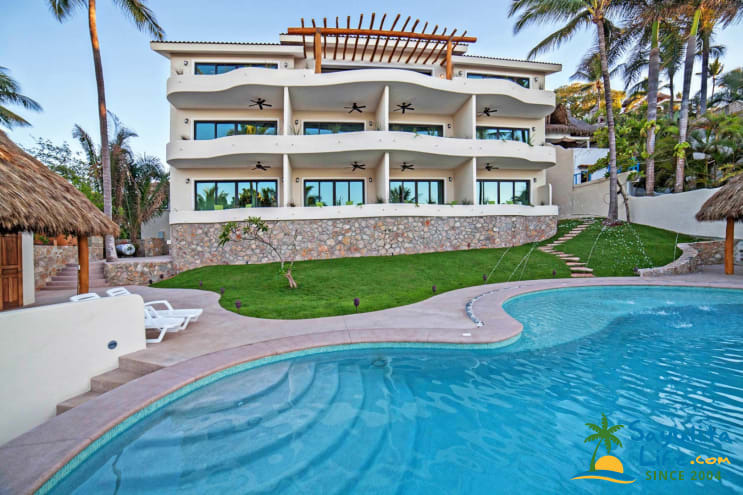 The apartments at La Esquina are located in the center of Sayulita and all have a beautiful panoramic ocean view. All the apartments of La Esquina are fully furnished, with a fully equipped kitchen, living room, and a furnished outside terrace. The bedroom has a king size bed and you'll also find a pull-out queen size sofa bed in some units which are comfy and sturdy enough to double as an extra bed in a pinch. The penthouse is 3,000 square feet and has two bedrooms, 2.5 baths, a large living area, fully equipped kitchen and a large terrace with stunning ocean views. These brand new stellar apartments offer you all you need on your Sayulita vacation. Direct beach access, a large common pool with a bar and outdoor kitchenette. All this within a stone's throw from the beach and the center of Sayulita. This place is truly beautiful and loved our room. The maids were amazing and thorough. The bed was super comfy as were the pillows. If you ever get a chance to stay here, do it! The location is on the public beach and extremely busy. The condo is nice but not being able to put used toilet paper down the toilet really turned us off. Everything was great, service from the staff was good and the only complaints (road work in front of the property) was out of anyone's control. We met some nice folks from Canada, and Australia. Brooke was awesome to deal with!! 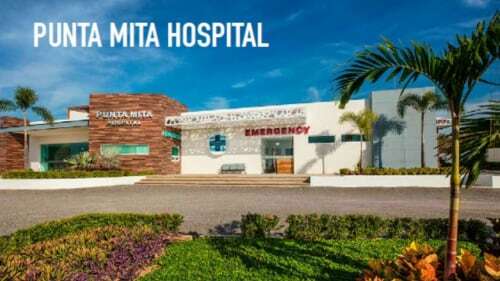 On another note; One of the guest had an accident while checking out, Roxana was outstanding with calming the guest and his family and facilitated the help of the doctor to take care of their needs, as well as taking care of their unexpected extra night stay. We have been coming to Sayulita for 15 years now, and never stayed at the same place twice, we are looking forward to returning to this property next year!! We are finishing up our 4 night stay here at LaEsquina and every part of this trip from booking to accommodations could not have been more perfect. It was our first time down to Sayulita and it won't be our last. That is due in large part to this great property. We booked back in February and Roxana, our contact person, could not have been more patient with my many questions. Everything is spot on, in fact, I would say it is better than advertised. The instructions to get in were simple, the room was ready and open for us. Our place was spotless, well supplied, inviting. We booked a larger room and were very pleased with our choice, no cramped at all. (we were able o peek into a smaller unit and that, too, would have been fine for the two of us). down from the pool. The pool area is well taken care of each morning. As other reviews have noted, nether walk to town square in 5 minutes max,close enough to get there quickly and far enough away when you want to be. The only noise you hear at night is the pounding of the surf from your balcony. We came down for a wedding and others stayed at different properties even some houses up the hill. We visited them and they were nice, but we would not trade our location or accommodations for any of them. We went with a large group and rented the penthouse and a few rooms. The penthouse was a great gathering area for our large group. The location was great and we really enjoyed the pool. We’ll definitely be back! 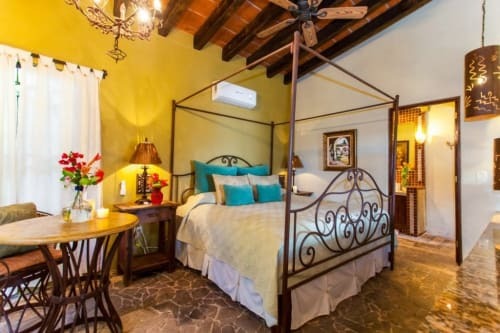 THE BEST place to stay in Sayulita. Perfect location...right next to downtown. But still quiet. All rooms have a balcony facing the ocean...leave the door open to listen to the waves crashing all night long. Right on the beach. Nice and clean. Thank you for taking the time to write a review, we hope to have you back some time in the near future! Great location, nicely decorated with many amenities. Newer, well maintained building - very clean. Loved the pool area! Great views of ocean, gated and clean! Our stay in La Esquina was for 5 days in late Feb. We walked in to our room and were extremely satisfied with the place. Direct ocean views, kitchenette, safe, clean and modern. The bed is also very comfortable. We lounged by the pool and/or walked a few steps out of the hotel to the beach. Everything is nearby that you could need. Less than 5 min into town but quiet so you are away from the street noise. I highly recommend this to anyone wanting to visit Sayulita. The hotel is the ideal location, right on the beach with a pool overlooking the ocean. The room is clean and we loved the decor. We would stay again. - Penthouse unit Sleeps 6, master bedroom sleeps 2, one king bed and second bedroom sleeps 4, two queen beds. We ask for 50% down to hold and confirm your reservation. The balance is due 60 days prior to your stay. Off-season rentals are to be paid in full upon booking.